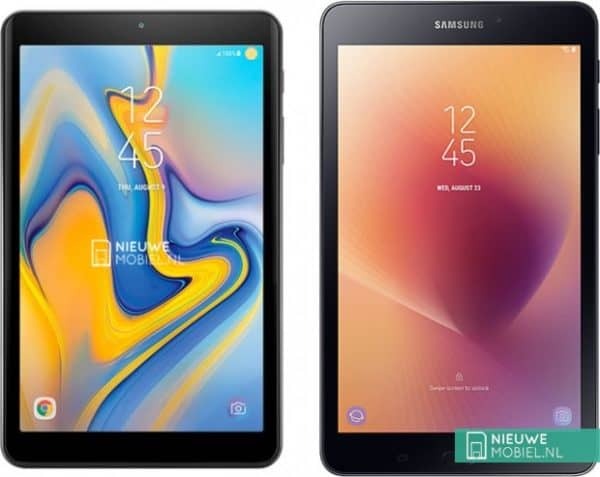 Recently leaked renders of the Samsung Galaxy Tab A 8.0 (2018) detail the design of the upcoming tablet offering of the South Korean device manufacturer. One of the design differences between the rumored tablet and its predecessor, the Galaxy Tab A 8.0 (2017), is the lack of capacitive navigation buttons below the device’s display. Instead, the tablet will likely use software buttons to navigate through the device’s user interface. The renders also show that the right side of the tablet will contain the power button and the volume rocker, while users will find a microSD card slot on the left side of the tablet. Meanwhile, the rear panel of the device contains the single rear camera, which is not accompanied by an LED flash. The Galaxy Tab A 8.0 (2018) recently passed the certification process of the Federal Communications Commission, and the test documents submitted by the device maker includes a diagram of the tablet’s rear panel. The sketch somewhat corresponds to the renders that were leaked today, and it shows that users will find a 3.5-millimeter headphone jack on the top of the device. The diagram also shows that the bottom of the tablet will contain a USB port and the grills for the loudspeaker. Filings to the FCC also noted that in addition to supporting Wi-Fi and Bluetooth, at least one variant of the tablet will feature 4G LTE connectivity. Recent reports already provided details regarding the specifications of the Galaxy Tab A 8.0 (2018). The Snapdragon 430 chipset will likely power the tablet, and this SoC is comprised of an octa-core ARM Cortex A53 CPU and the Adreno 506 GPU. Furthermore, a benchmark result stated that the device will contain 2GB of RAM, while the presence of a microSD card slot means that the device will likely have expandable internal storage. The tablet will likely ship with Android 8.1 Oreo pre-installed, although the tech firm’s proprietary skin, dubbed as the Samsung Experience UI, is expected to run on top of Google’s operating system. It is not yet clear when the device will be launched, although it is highly likely that the tablet will be sold in the United States in the near future. The post Galaxy Tab A 8.0 (2018) Renders Leaked, Has No Front Buttons appeared first on AndroidHeadlines.com |.